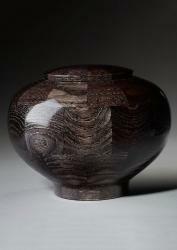 Part of our Flower Petal cremation urn series, the feminine Peony Purple urn is hand turned from pristine maple wood. 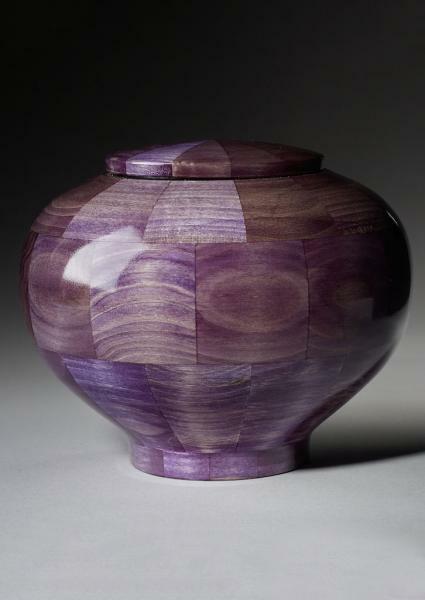 Once Steve Shannon finishes the exquisite shape, he dyes the urn an electrifying purple. 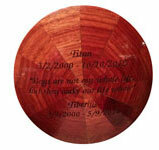 This breathtaking urn will be an exceptional final resting place for your loved one. These urns can be built to fit animal friends, children, and adults. Urn jewelry available at Etsy Charmed Wife Shop. I ordered the urn for my sweet boy, Chatter. I had a sentiment laser etched with silver leaf. It is absolutely stunning. I've never gone through this experience before and it was an extremely difficult time. Anna was very kind, helpful, and a pleasure to work with. The urn arrived on time, in perfect condition, and as beautiful as pictured. It was exactly as I expected. In addition to making something so elegant, they made a donation to Trees That Feed Foundation in Chatter's name. That gesture was so befitting of a soul that showed me so much love. I am grateful to have something so beautiful for my beloved boy and for the kindness and professionalism of Steve Shannon. I highly recommend them. Of course losing my wife the love of my life untimely to cancer was a kick in the gut I would wish on no one. Her favorite color was purple and one of her favorite flowers were peonies so finding a handcrafted purple peony urn was actually an uplifting experience for me not having many since she passed. The urn exactly what I hoped it would be and I know she is happy there. The customer service I experienced was phenomenal too. 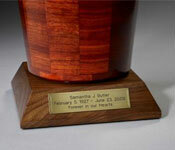 I highly recommend Steve Shannon for his handcrafted urns, I don't believe you could honor a loved one better. Thank you! I purchased the Peony urn for my husband because it was purple. 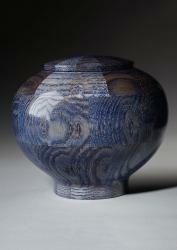 This urn was more beautiful than Displayed in the pictures and of great quality. It was my plan to bury this but I have decided to keep it at home. I highly recommend this product. My family was extremely pleased with the Peony purple urn we purchased. The craftsmanship is extraordinary and is a beautiful way to memorialize my precious 16 year old Niece. 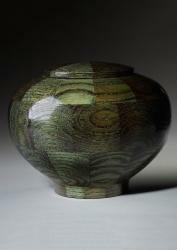 This was my second urn purchase from you and I received the same great response and quick shipping as the first time. Very beautiful quality and they look very nice together.